I’m not health-obsessed, but I like my kids to eat well. So we try not to give our kids junk food, we don’t allow them soft drink or juice, and we keep their lunch boxes healthy. Snacks have been the key issue. It’s easy to make a sandwich with real food (nut butter, whole meat cuts, vegetable or cheese inside), but the supermarket aisles are simply full of junky snacks for kid’s lunchboxes that pose as health foods. Sometimes it’s easy to be convinces that rubbish food is actually healthy. I know I’ve been fooled again and again. Last year we stopped buying mini packets of chips (crisps), rice crackers and other salty snacks and you know what? The kids didn’t even notice them! Our kids didn’t even notice when we replaced the chips with healthier snacks. 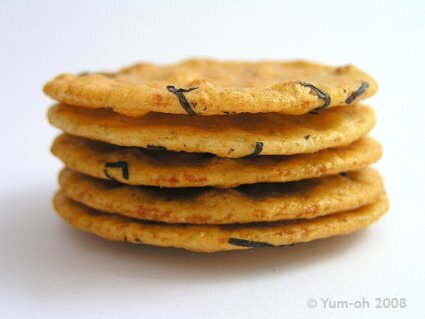 People think seaweed crackers are healthy – possibly because they have seaweed in them. But they’re very high in salt. This year we’ve cut out muesli bars. They typically range between 40% and 60% sugar! 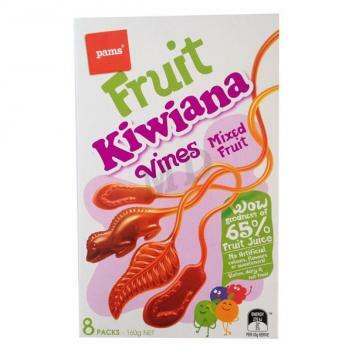 Fruit jellies in mini packs, another common snack for kids that we used to buy, typically had between 50% and 60% sugar! Pams fruit vines. In individual bags for kids’ lunch boxes. The box proudly mentions the “65% fruit juice”. What it DOESN’T mention is the 55% sugar! Individual yoghurts are anther common lunchbox snack for kids. But our children’s school has banned them – the plastic containers were getting to be a real problem, ending up in the river that runs through the school grounds, and causing a bad rubbish problem. I’m in agreement with the school on this one. So – what to feed healthy kids? Firstly, my kids drink water in their drink bottles. Nothing else. This is the best drink for kids, and makes cleaning the water bottles easier. Both my kids have a stainless steel water bottle – I don’t think plastic is safe to drink from in the longer term. Sandwich fillings: cheese, offcuts of real meat (chicken shavings, leftovers from roast, cold sausages cut into slices, cold turkey, cold ham, tuna etc. ), nut butters, tahini, hummus, sliced vegetables or fruit (cucumber, tomato, grated carrot). Use wholegrain, rye or wheat bread – the darker the better. Thank you for this article. It is timely with school starting again. I don’t have kids attending school, however I can see how it will be valuable information to parents who do have kids at school. I shared it on my Facebook. You’re welcome. I completely de-junked my kids’ lunchboxes a few weeks back now, and they’re pretty happy with the result. They love the little bags of nuts and seeds, and are big carrot fans – they’re even diving into the fridge after school to snack on carrots and other raw veggies these days! I buy the nuts and seeds in bulk, and have found it works out slightly cheaper than buying all that junk, which shows just how overpriced it is!